Senator Franklin Drilon discuss and spin-off of the development issues. ISSUES and problems at the Batiano River will be discussed on Saturday, October 8, as Oton Mayor Vincent Flores will host the first Batiano River Summit to be held at Tatoys Manokan Resort in Arevalo district, Iloilo. Senator Franklin Drilon and Iloilo City Mayor Jed Patrick Mabilog grace the summit to discuss and spin-off of the development issues of Iloilo River. The development issues has encouraged participation of vital government agencies such as the Department of Environment and Natural Resources, Department of Public Works and Highways, Bureau of Fisheries and Aquatic Resources, Philippine Ports Authority and others. Batiano River, an 11-kilometer waterway, is actually an arm of the sea starting from the river mouth at Baluarte in Molo district up to Oton, Iloilo that meets the end of the 15 kilometer stretch Iloilo River. Earlier, the city agriculture office reported the presence of several illegal structures, such as 53 fish pens or “punot” and eight fish traps or “tangab”, aside from the several fishponds that impede the river flow and hundreds of houses constructed along the riverbanks. 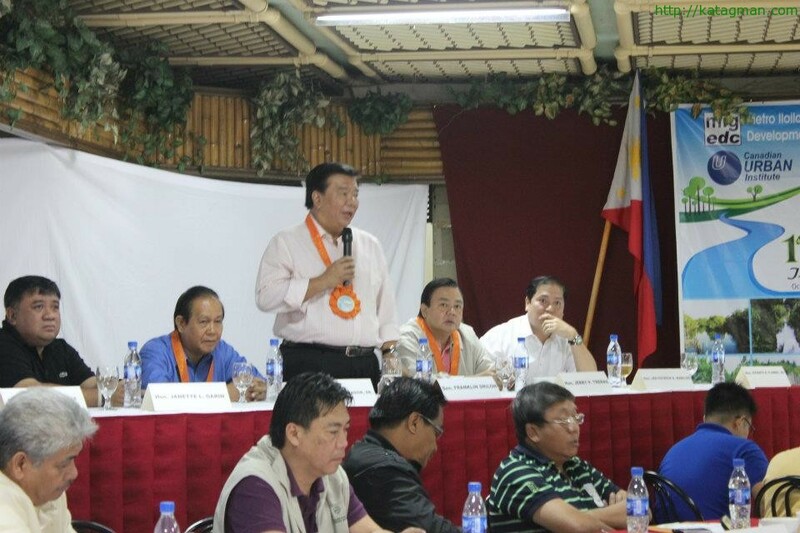 Mayor Flores earlier asked the help of Senator Drilon and sought technical assistance of the Iloilo River Development Council in saving and protecting the river by implementing development projects along the river. He also reported that some areas in Oton adjacent to Iloilo City boundary had experienced flooding from the Batiano River. Mayor Flores also recommended the immediate demolition of illegal structures along the river.